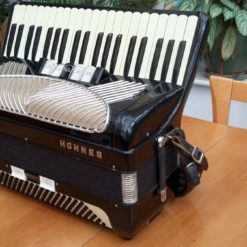 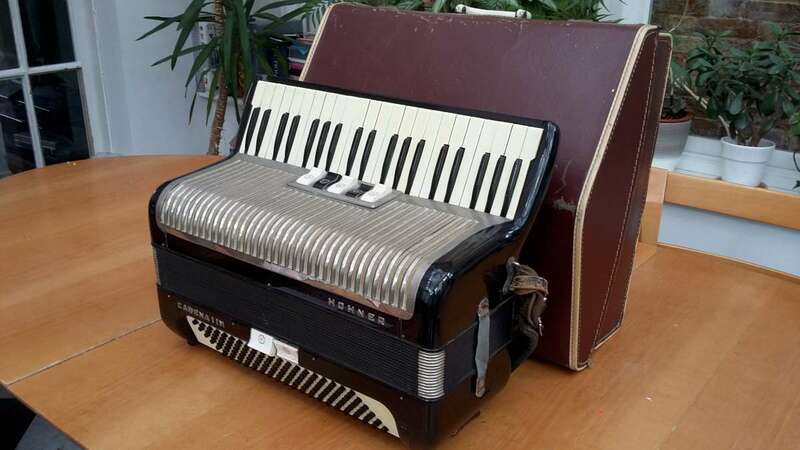 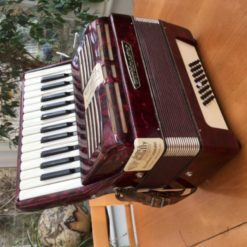 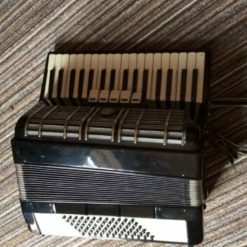 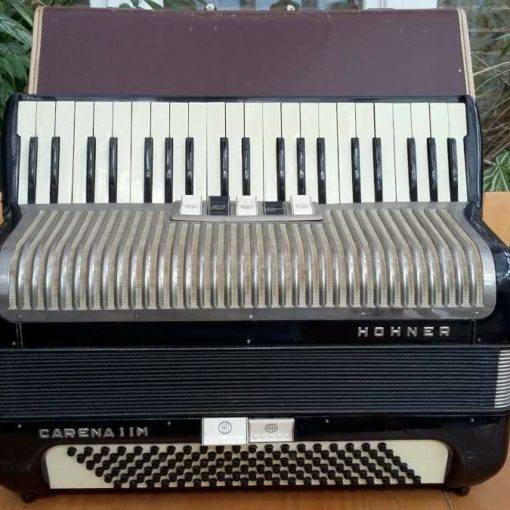 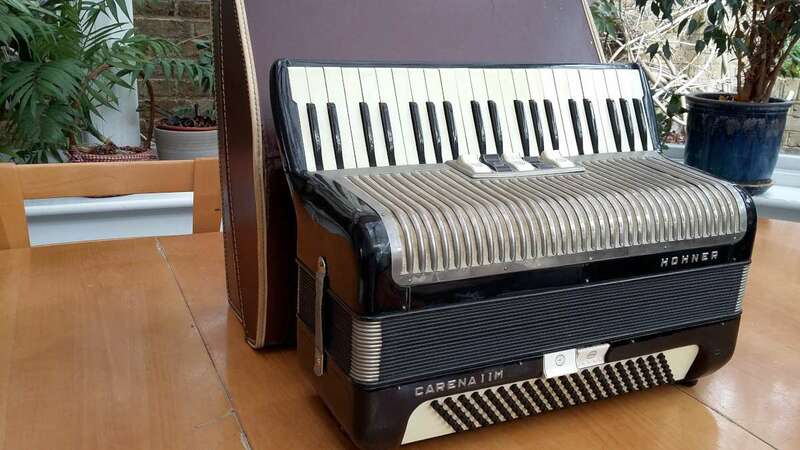 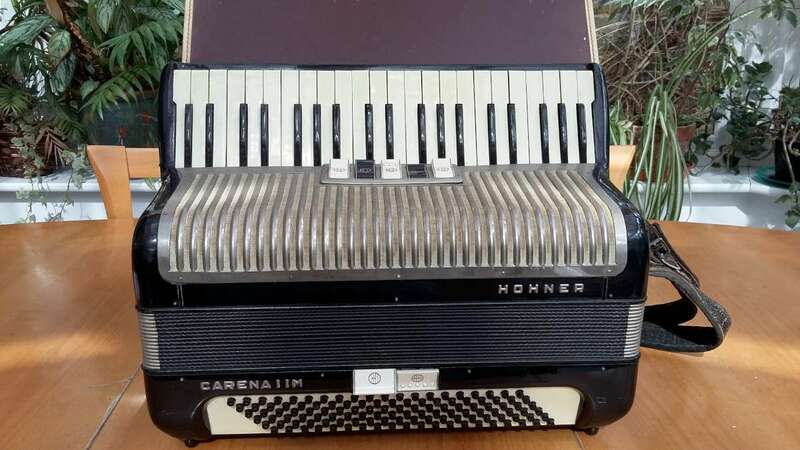 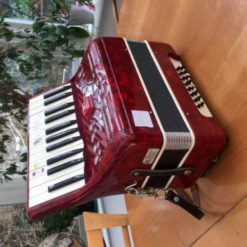 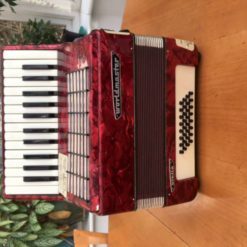 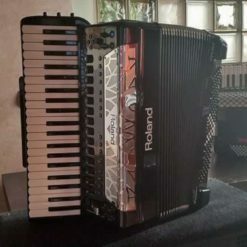 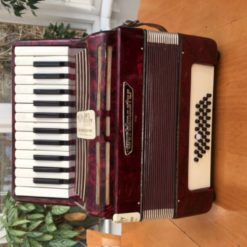 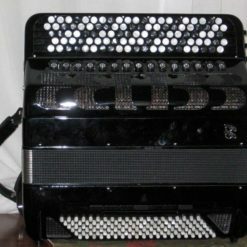 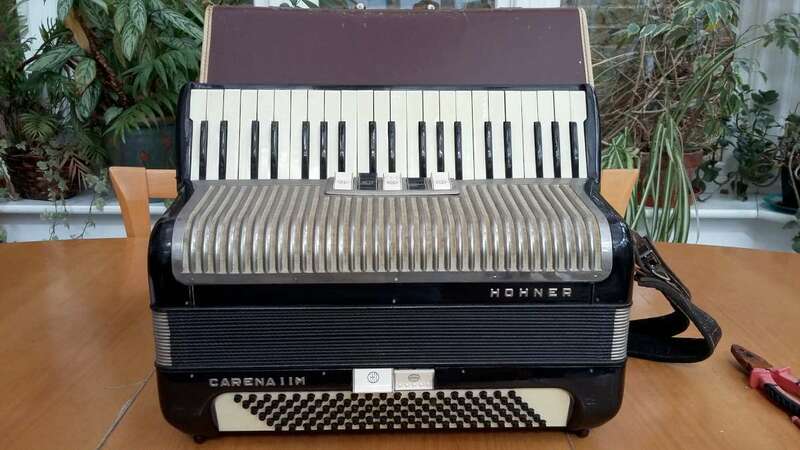 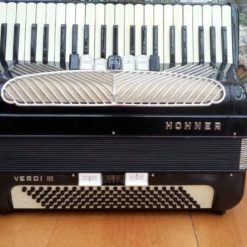 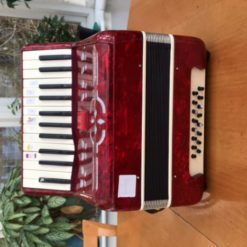 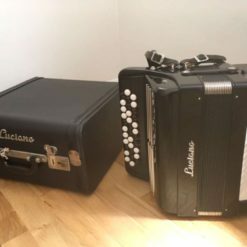 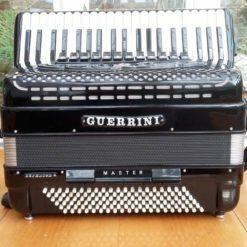 A truly vintage Hohner model here in the Carena IIM possibly dating from the 1940s or 50s judging by the shape of the keys, and ideal instrument for a collector or someone who needs a lighter instrument but with 41 keys and 120 basses. 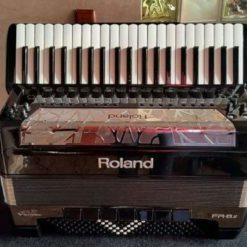 It only has 3 sets of treble reeds and is medium wet-tuned so could pass for a mellow musette. 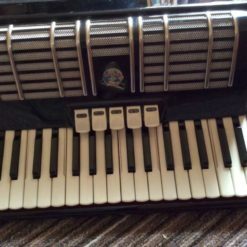 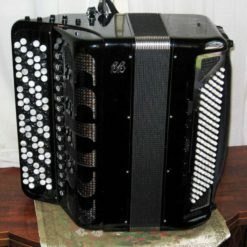 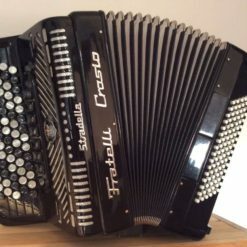 The instrument needs a bit of attention and a re-tune to bring it up to spec again hence the two prices. 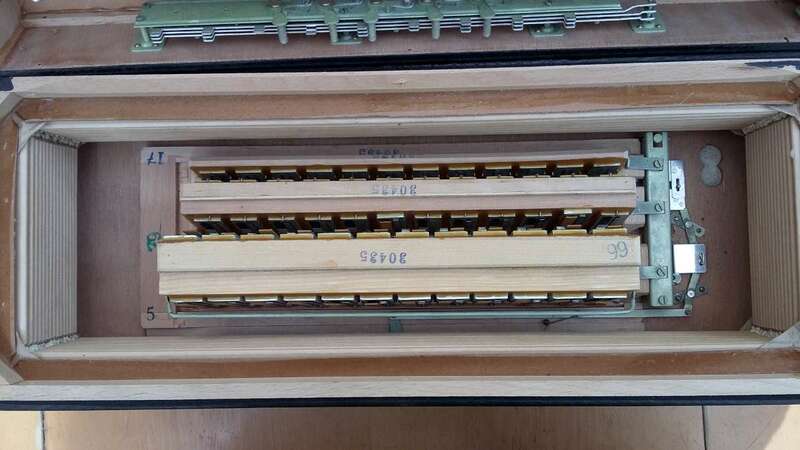 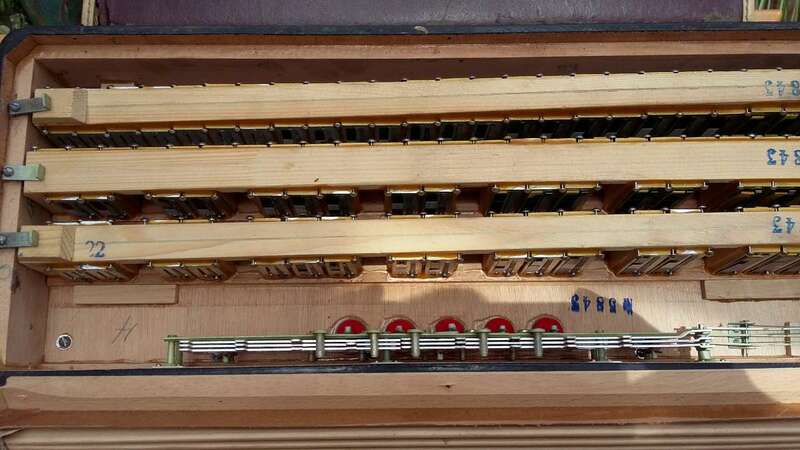 The reed configuration of the right hand manual is 16′,8′, 8′, and the reeds are not of the hand made variety but produce a good quality sound. 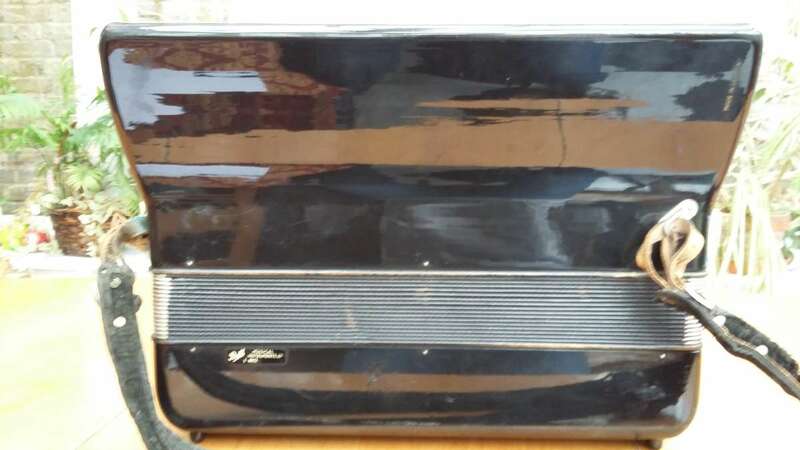 No major damage to bodywork despite it’s age but could do with a nice polish up. 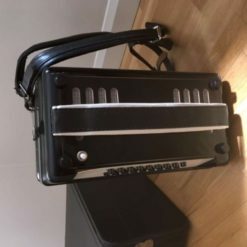 It comes with it’s hard case. 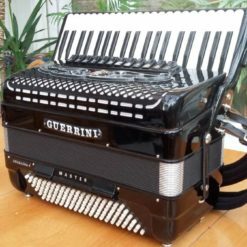 Please email info@zzmusic.uk to arrange a test drive (no obligation to purchase).